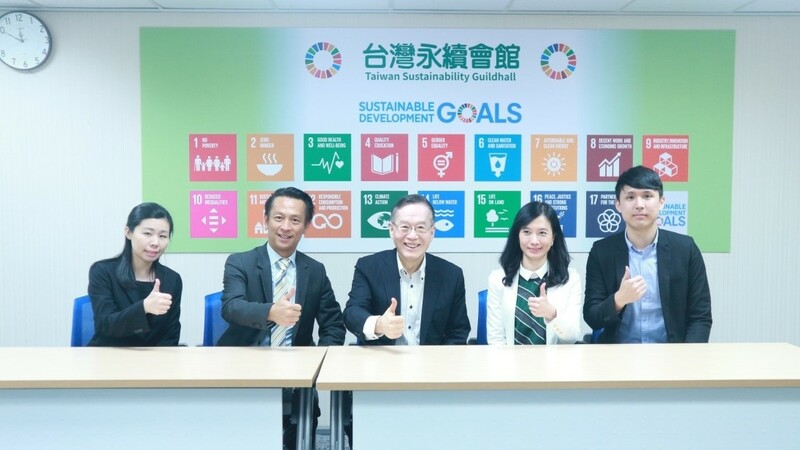 Mei-Hsing Lin, Section Chief of the Department of Investment Services, Ministry of Economic Affairs, and Pi-Jan Wu, Senior Consultant of the International Law Office, along with a delegation of four, visited the Taiwan Institute for Sustainable Energy, today, March 27. The delegation was personally hosted by TAISE Chairman Ambassador Eugene Chien, who not only introduced TAISE’s successful efforts but also shared about recent years support from public and private sectors witnessing Taiwan corporations’ widespread adoption of sustainable development practices to a distinctly mature level, along with strong support from government agencies helping not only attract businesses, but also implementing greater focus on Social Responsible Investment (SRI) issues. During the meeting, Ambassador Chien also shared about the latest TWNSI results for ESG performance with the top 40 publicly traded firms representing 46.34% of total market value of the weighted index. The index component corporations have also been recognized in the TCSA Awards, representing the high quality standards of the event, and the success of Taiwan corporations participation in the TCSA platform to evince their corporate sustainable competitiveness. Both sides hope for future cooperation with the Department of Investment Services, to endeavor to promote corporate sustainability efforts. The 2019 TCSA will begin registration from Monday, May 13, and the relevant information is available at the official website (tcsaward.org.tw).